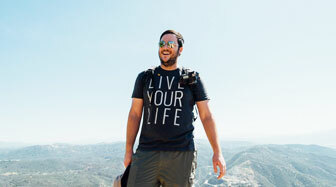 I recently took a trip up to Idyllwild in Southern California and was looking for a hike to do. 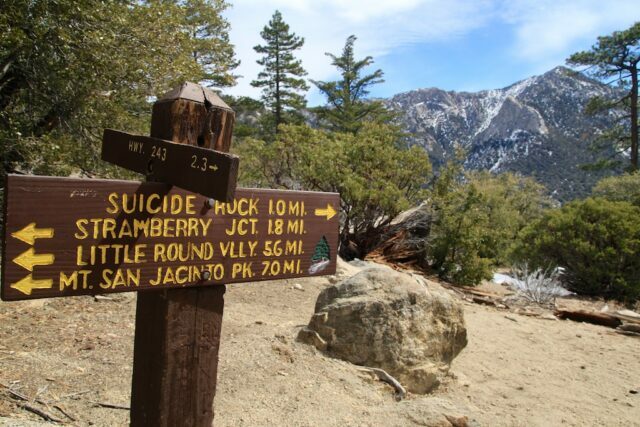 Having never been before I just searched the internet and stumbled on Suicide Rock. This granite outcropping provides a great view of Southern California as well as a beautiful view of the granite Lily Rock right across the ravine. That being said, at 6 miles and about 2,000 feet of elevation this is not an easy hike by any stretch so make sure you know that going in, below is my full review. 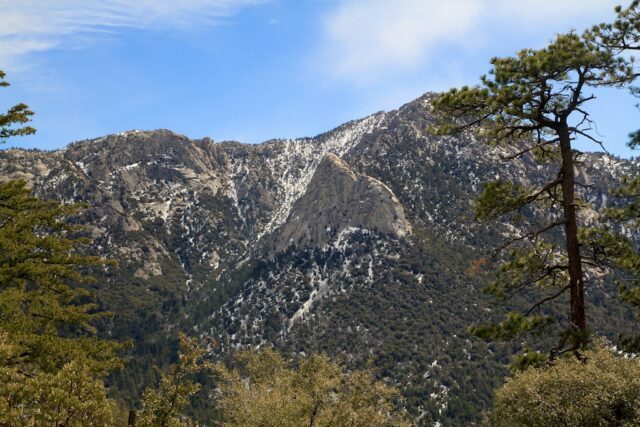 After parking on Highway 243 slightly North of Idyllwild at the Deer Springs trail head you will see the start of the trail. From here the trail pretty much goes up the entire time. There is a decent amount of shade most of the way but you want to make sure you bring a good amount of water as you will be drinking a lot on this hike. 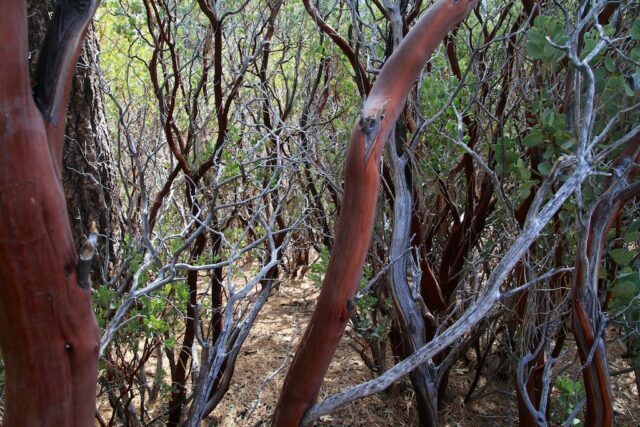 I loved the beginning of this hike are you are going through massive areas of Manzanita bushes which have the really beautiful red bark. 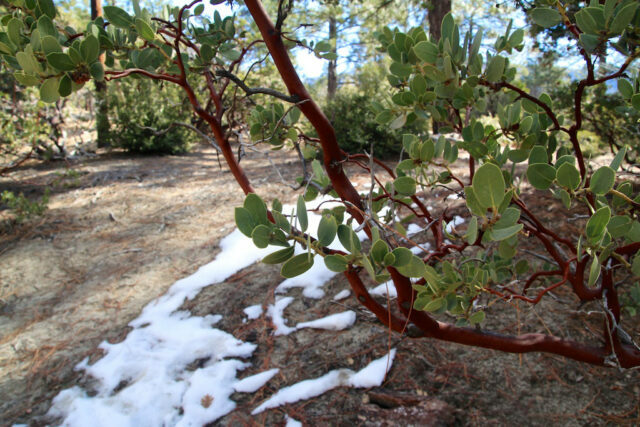 I don’t see these plants often but always enjoy it when I do and the amount on this hike was overwhelming. 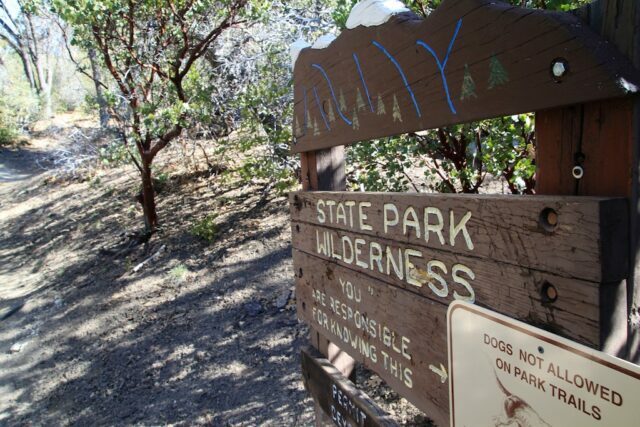 After about a quarter of a mile you will enter into the State Park Wilderness. 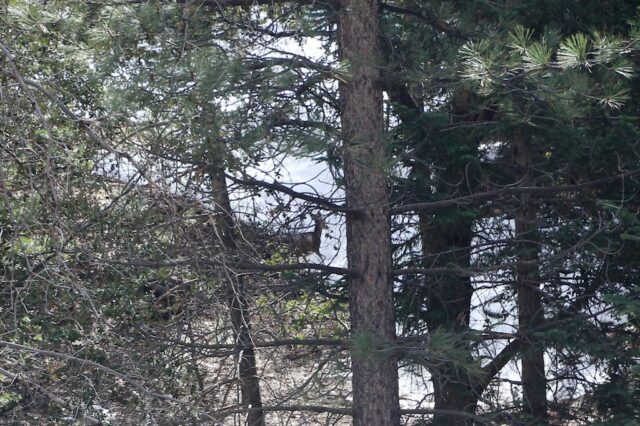 As we continued up we even happened across a family of deer walking through the snow that was still patchy as you got higher up in elevation. They were far away but it was cool to see them so naturally on a trail like this. About 2 miles in you will reach a flat area that takes you through the woods and to the sign for the last mile to Suicide Rock. Even though it seems like the trail will flatten out here it does not. It does continues down a little ways and gives you a beautiful view of Lily Rock though before heading back up toward Suicide Rock. Along the way you will cross a small stream which had a little 3 foot waterfall and was very pretty. 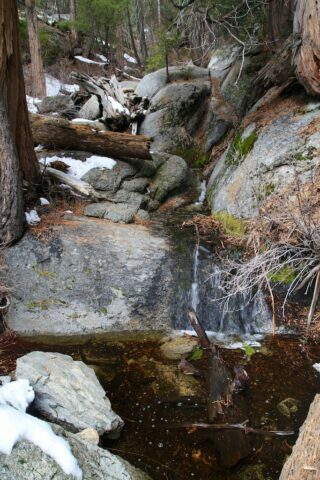 The water runoff was not flowing much so it was easy to cross even with the icy snow. From here you can start to see the end goal, even though it seems far away. You will not actually be going to the top of this hill, more likearound the backside and then coming around the front where the rock face is. 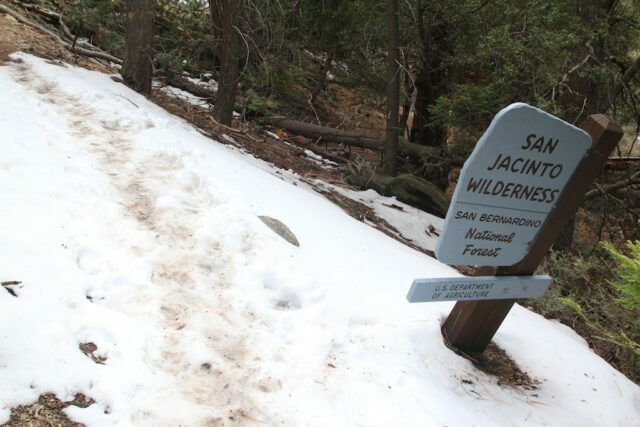 At about 2.5 miles in this is where you will officially enter the San Jacinto Wilderness as well. 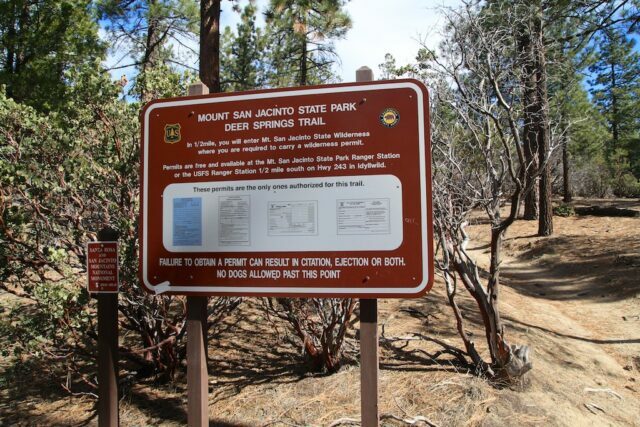 At this marker you will have about a half mile left before you reach the summit. The trail exits the forest and climbs around the front of the rock. When you go this last 100 yards you will end in front of the mountain you were looking at on the approach and will be on the top of Suicide Rock. 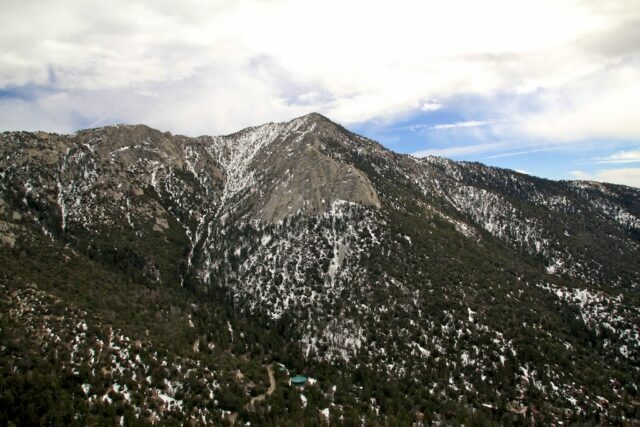 You can walk out to the edge in order to get an amazing view of Tahquitz Peak and Lily Rock as well as the small mountain towns below you. 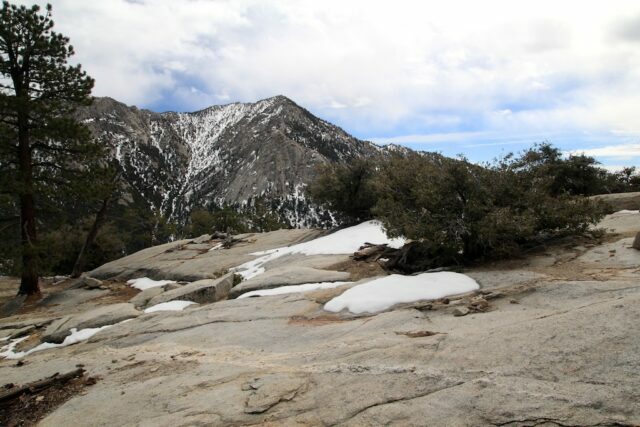 This is a great place to have a snack and just take in the views; however, when we were at the top the snow quickly rolled in and we got caught in the small snow flurry while on the summit. While this is not desirable for my camera equipment it made for a cool story. We scurried off the rock and headed back down the way we came, about 5 minutes later the sun came out and the small snow flurry ended. 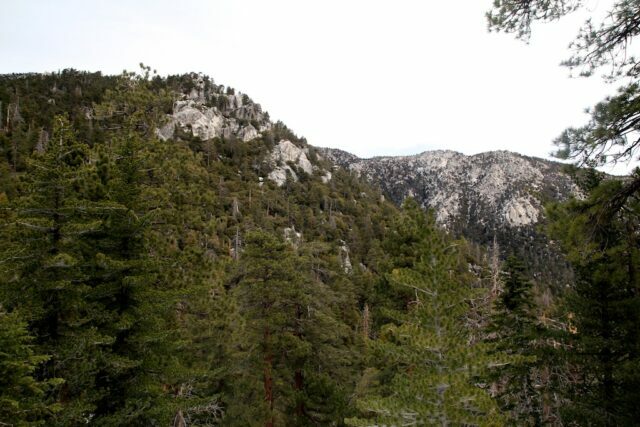 I loved being able to see Lily Rock and Tahquitz Peak from this vantage point. I can’t wait to do those hikes as well as they really seem like they would provide some amazing views of the surrounding area and Suicide Rock as well. When I was walking up the trail I only saw two other people the whole time but on the way down we must have passed at least 10, so arrive early if you want the summit to yourself. 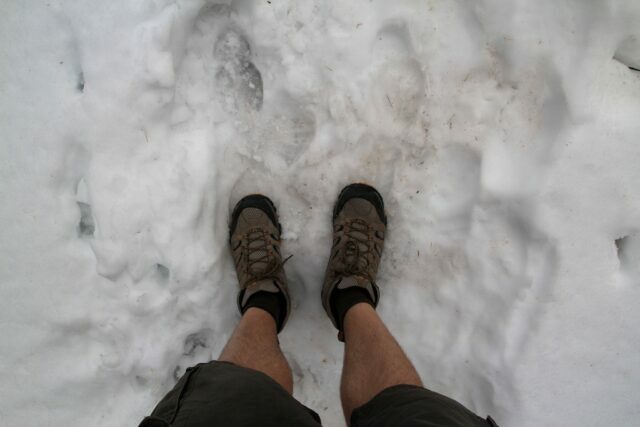 While the snow was not bad, I did the hike in hiking boots, you will for sure want something with decent traction. All in all this is a beautiful area and I would recommend some time here. 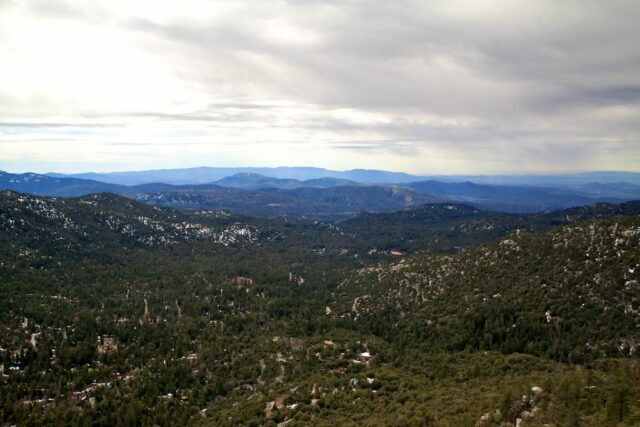 The town of Idyllwild itself is a great, peaceful escape from the city and there are a lot of great hikes. 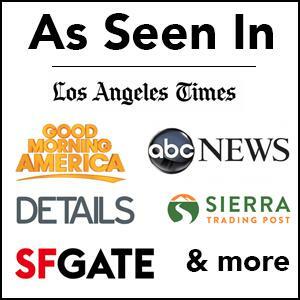 Get directions for yourself below.